If your looking for economy clean place to lay your head and get a shower this is fine. If your wanting the extras not so much. Appropriate for 2 people who know each well, room very small & no closet. Hooks on wall or doors would help - all of our stuff on the floor. Helpful staff & good location. Excellent breakfast. Very nice staff. They sent me a message before arriving telling me how to get to the room because I was late. 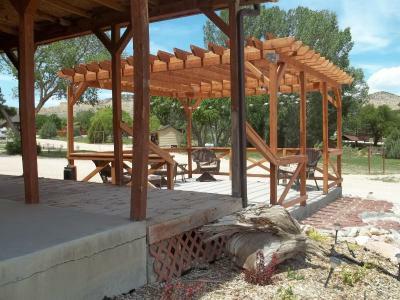 Great location to Bryce Canyon National Park! Tropic is a very quiet and quaint town! The Rustler’s Restaurant was great! Enjoyed the continental breakfast at the lodge! Enjoyed our experience at the Bruce Pioneer Lodge! Such a cozy, nice room! Loved the pictures above beds and the bedspreads. Loved the counter eating area with stools as well, especially with kids. Great location and such a comfortable room! We always love staying here and will do so many more times! Thank you for a great stay! Everything was very clean! The property was beautiful and refreshing! The breakfast was simple but Fresh and clean. We had everything we needed.we loved our stay. The cabins were cute and great for just the two of us during our stay for one night while passing through the area. Nothing about this place to like. They were kind enough to let us cancel the second night of a scheduled two day stay in conjunction with booking.com. Bryce Pioneer Village This rating is a reflection of how the property compares to the industry standard when it comes to price, facilities and services available. It's based on a self-evaluation by the property. Use this rating to help choose your stay! 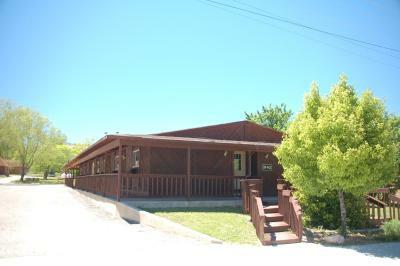 Featuring an on-site dinner theater, this motel is 20 minutes’ drive from Bryce Canyon National Park. All rooms include free WiFi. A free continental breakfast is served to guests daily. Each air-conditioned room includes a work desk, a cable TV and an private bathroom at Bryce Pioneer Village Tropic. A daily maid service is also provided. 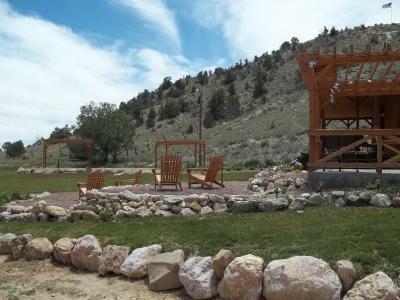 Guests can enjoy American cuisine, and frequent music and shows at the Showdowns Restaurant and Dinner Theater at Tropic Bryce Pioneer Village. An outdoor fire pit are also offered. Free parking is available. Kodachrome Basin State Park is 30 minutes’ drive from Bryce Pioneer Village. Grand Staircase-Escalante National Monument is 37 miles from the motel. When would you like to stay at Bryce Pioneer Village? This air-conditioned room features free WiFi, a flat-screen cable TV, a work desk and an private bathroom. This air-conditioned room features free Wi-Fi, a cable TV, a work desk, a microwave, a small refrigerator and a private bathroom. Please note that this room cannot accommodate roll-away beds. House Rules Bryce Pioneer Village takes special requests – add in the next step! Bryce Pioneer Village accepts these cards and reserves the right to temporarily hold an amount prior to arrival. Please note that guests traveling for a travel agency are requested to contact the property prior to arrival to set up credit card authorization. Please contact the property for more information. Please note that office hours are from 17:00 to 22:00. Guests expecting to arrive outside of normal check-in hours are asked to call or email the property prior to arrival for check-in instructions. The maximum occupancy for Double and Deluxe Double Rooms is 4 guests, including children. Contact the property for more information. Weird layout, small thin towels. Breakfast was mostly carbs and staff had to be asked to refill empty items. Large room with 3 queen beds clean. Wifi was terribly slow. It even got disconnecting constantly. Quite cool place to stay around Bryce Canyon. Cabins are spacious and clean and bed is comfortable. The Showdowns restaurant that is part of the village is pretty cool too. It was advertised that there was a restaurant and western music. Cohen we arrived we asked about the music and we were told it wouldn’t start until later in the month. The restaurant was closed but the receptionist didn’t tell us. 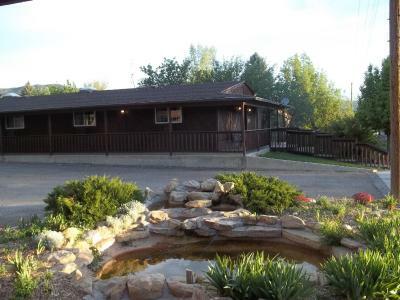 Location to Bryce park, quiet, private cottage. Reduced price excellent breakfast on property. Poor wifi, toilet sits low to the floor, towels are about like using a news paper. Could use a little TLC around the property.